Since one of our Core Values at Hughes Marino is to pursue growth and learning, we love seeing this value in action, especially in workspaces and in classrooms! LEARN Academy’s space is no exception! LEARN Academy prepares students for the real-life aspects of a job in web development and ensures their students are supported and able to connect with future employers. 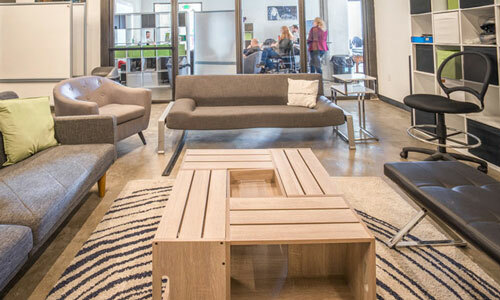 Their space in the heart of downtown is modern and inspiring, and nurtures the next generation of web developers to engage in courses that help to make their visions and dreams a reality!